Dan Nash’s music harks back to the roots of early rent party/juke playing. 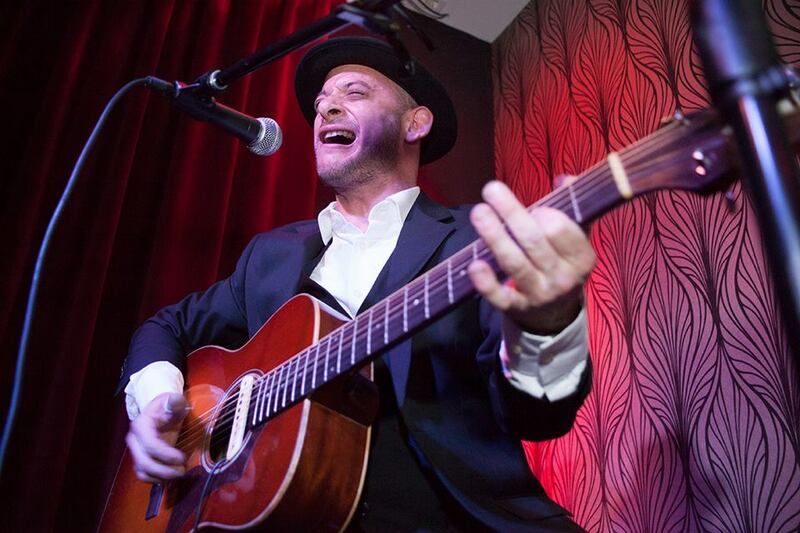 Dan encompasses the whole acoustic blues genre from the rough-edge bottleneck blues of the Mississippi Delta to the intricate finger-picking styles of Texas and the Carolinas. He focuses on rare and standard blues classics by bluesmen such as Robert Johnson, Muddy Waters, T-Bone Walker and Lightnin’ Hopkins. Dan & Annette have been teaching together since 2012 and love bringing the worlds of music and dance together. When it comes to blues music history, Dan knows his stuff! We've never met someone more dedicated to their art. Dan loves to play for dancers and is always eager to figure out why we move to the music the way we do - which coincides nicely with Annette's interest in the music, the playing technique and the history of the blues. Covering anything from blues styles to rhythms, from structure to musicality, Dan and Annette will aim to bridge the gap between bandstand and dance floor. Cuca Vidal has been a singing teacher for more than ten years. She has combined her teaching activity with other educational, artistic and theatrical projects. She started her vocal technique studies with several teachers in Granada, and later on specialized in modern music in the renowned Taller de Musics in Barcelona. She is a graduate in Musicology from La Rioja University, graduate in Music Teaching Studies from University of Granada, and did postgraduate studies in International Cultural Management and Cooperation in the University of Barcelona. Currently she combines her arts teaching with the management and production of different events for the Compañía de Títeres Etcétera and Baila Swing Fin Association, in Granada. Her wide training and experiencie has made of her an attentive and versatile professional with many skills and we are excited to have her teaching part of the Musicality elective and getting your vocal chords warmed up!